Zerozaki4869 wrote: Should I start with the Anime or the Manga? Depends. Also depends if You like fillers or not. I watched both animes, and I think that the older anime despite having fillers was much, much more better than the newer anime, because the characters were more deeper and alive. I did read the manga from the point of where the old anime ended, and I have some mixed feelings about it. And be aware that the manga will never end, and the current arc (despite already having some chapters) is still one big unknown. But I must admit that the chairman election arc in the manga was brillant, no doubt the best arc in the whole manga. Pariston FTW! HxH 2011 would be the perfect place to start, and finish (considering the manga won't finish), but I can't lie, leaving Kite out actually hurt the story perhaps too much no matter how well they did it overall (despite the repetitive OST). New chapter is up (I think). Togashi does a nice job in giving these background characters some characterization, feelings and depth. I don't particularly care for those *flashback moment in order to explain this particular move* moments but Kurapika's wasn't wasted to asspull defeat a godly opponent and it has quite a few limitations from taking time to 'borrow' the opponent's nen and using it once. 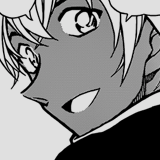 He can't just go to Meruem and get his nen, or any of the Phantom Troupe members for that matter. I find it interesting how Pariston and Beyond are getting part in this whole situation. I definitely want to see Ging's perspective of the arc soon again, since we don't know what he's really doing. This ship right now is not even going to the Dark Continent so there's most likely going to be a timeskip at one point. From what I remember the 4th prince had the Kurta clan's eyes and a decapitated head of one of them I guess, and I remember a debate about the tattoo artist, whom the prince had a picture of, drawing a spider, so the 4th prince could be some kind of boss of the phantom troupe perhaps... So Hisoka saying "ten more to go" despite there should be less, makes sense despite Uvo's, Kortopi's and Shalnark's deaths and Hisoka's leave, now that the prince is hiring more PT members. Making him Kurapika's opponent. And about Kurapika I liked how Togashi made him activate the scarlet eyes the moment a spider-like creature came from inside the bodyguard after he had his nen taken away. The princes don't really have nen training so they can't see the nen beasts but the 1st prince I believe is an exception since he's shown to be a powerhouse. The most interesting thing about Kurapika's journey right now is him trying to save the queen and the baby wobble imo. I wonder what type of tight spots he'll have to get out of. The last pages of the chapter having prince Halkenburg trying to leave the succession war, now I don't think he will die from this. Togashi made it so that Halkenburg was some kind of smart individual. This is probably just simply his game plan in order to win the throne. This latest run of HxH was pretty solid. The chapter with Halkenburg and King Nasubi, the chapter with Kacho and Fugetsu, and the chapter with Tserriednich revealing his nen power were pretty damn good, with some hints of genius. We also saw some of the princes and I believe 389 had some neat worldbuilding about Kakin kingdom thrown in the mix. Hopefully Togashi can come back soon. I really wonder how he'll handle Tserriednich because the man does not feel like a final villain at the moment, Nasubi seems much more ominous with that construction thing he uses to store the princes.